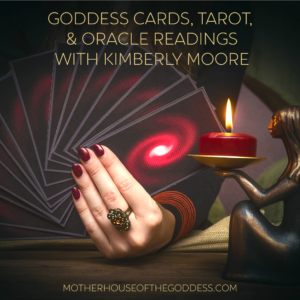 September is a time of transitions and a return to balance … Goddess is preparing to shed the heavy fruits of the summer harvest and step into the release of Autumn. Our fiery Goddesses of summer are shifting to the cooler, more contemplative Goddesses of Autumn and the Dark Mothers. She is a bit languid now, drawing energy from the last days of summer in preparation for Her journey down, down into the Underworld, through the gates of initiation. We also know that she will inevitably rise. The descent is acknowledged outwardly as the change of seasons and inwardly as our personal work on the inner planes and the thinning of the veils. For those of us in the Northern Hemisphere, night is already coming a bit earlier and shadows stretch a bit longer. 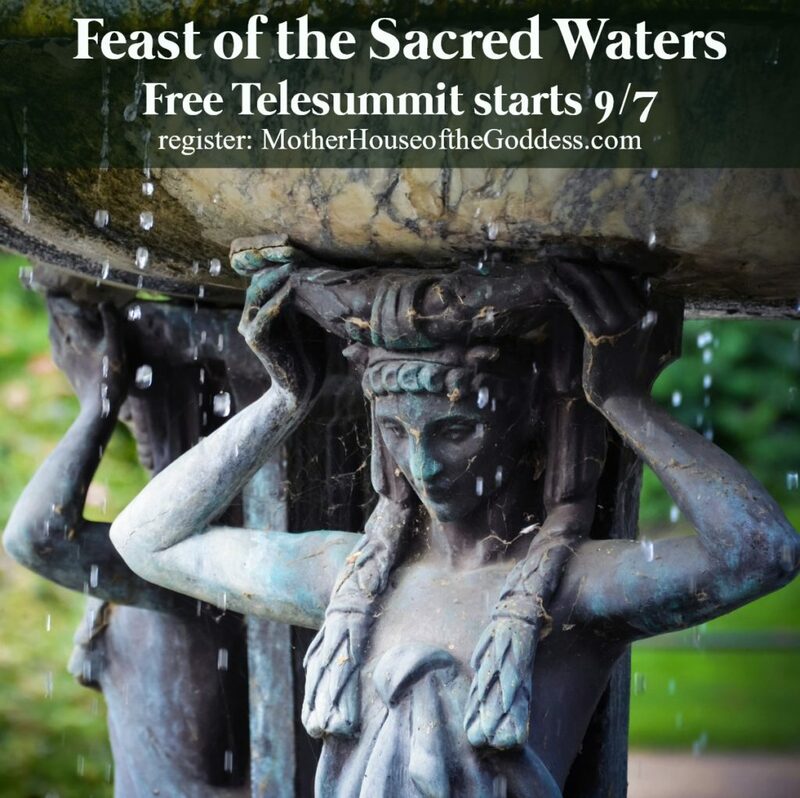 To celebrate the upcoming season, I would like to invite you to join our FREE Feast of the Sacred Waters Telesummit beginning on September 7 and lasting through 9/11. 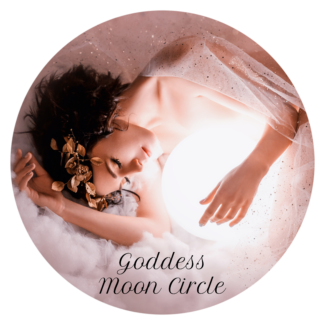 It is all accessible virtually through Mystery School of the Goddess and includes interviews with Priestesses and Practitioners on all aspects of Water. 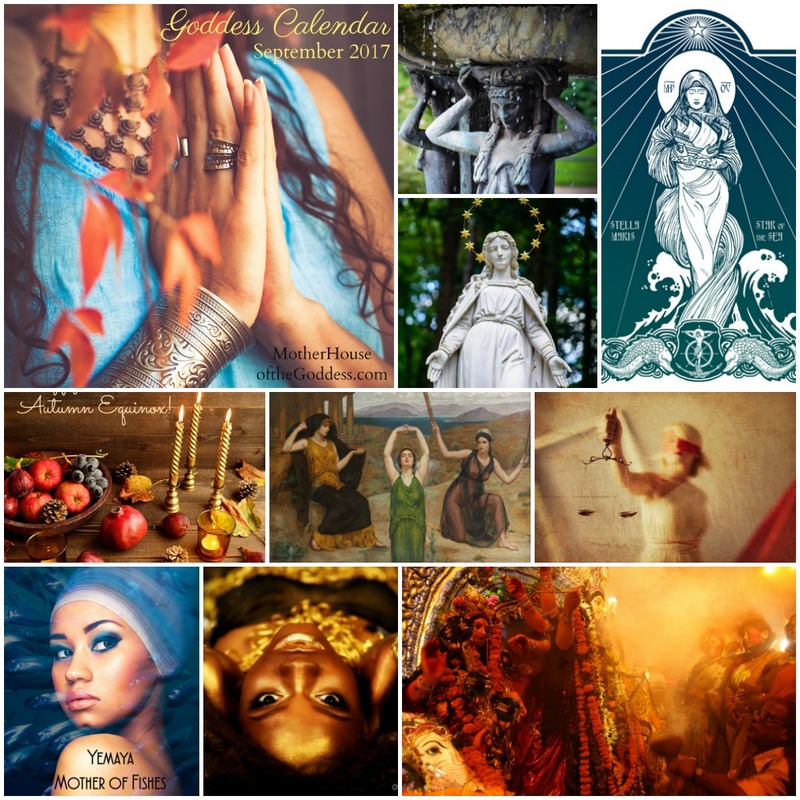 We enter the Feast of Sacred Waters through the gates of the Orisha Goddesses Yemaya and Oshun and celebrate a myriad of Goddesses of Sacred Waters and practices that place us in the elemental flow of the force of Water. Sign up here – all content will be available through August 2018 so you can take your time in listening. Our month is full of festivals and celebrations from the Feast Days to the Orisha Goddesses, Yemaya and Oshun, to an early Navratri, Nine Nights of the Divine Mother, and then Fall Equinox, this season is going to be busy and blessed!. 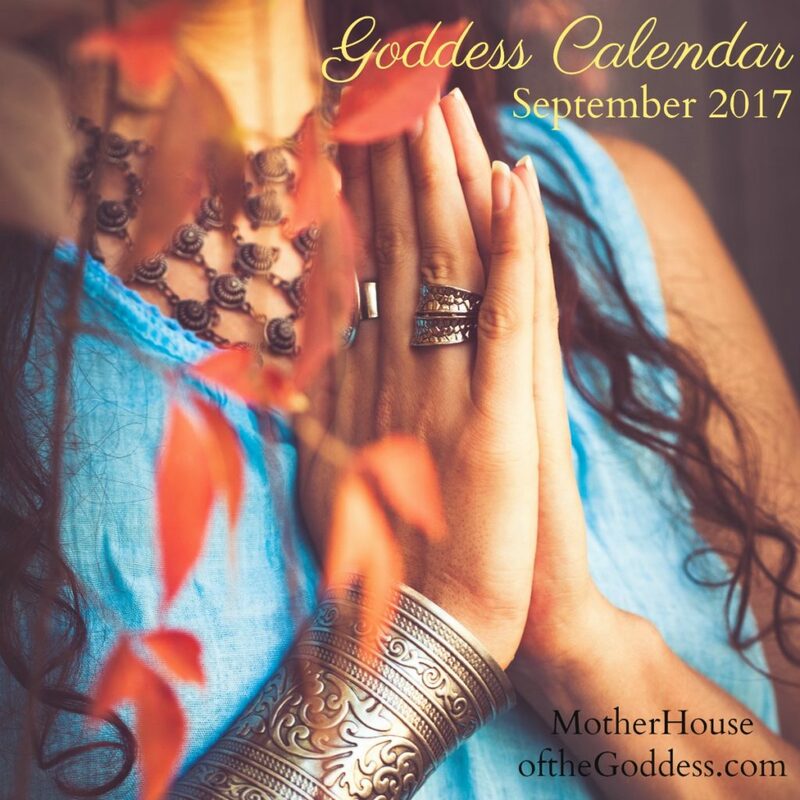 The Goddess Calendar is full of celebrations, opportunities to know Goddess more deeply, and reasons to gather in community. 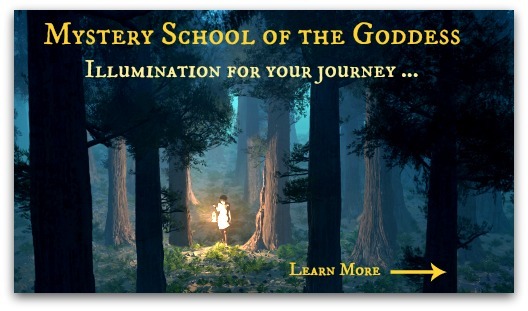 New Fall courses are open on Mystery School of the Goddess and more will be added in the upcoming weeks. 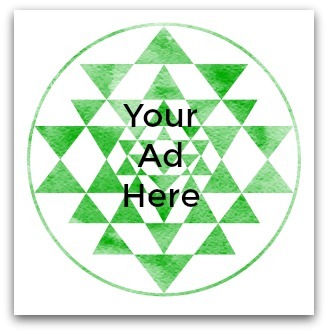 Goddess Full Moon Group is celebrating the living Hindu Goddess Ganga this month! 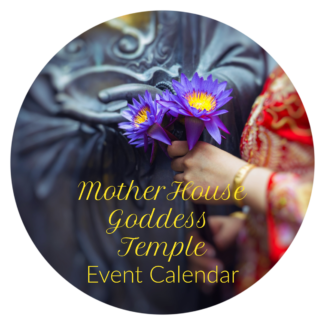 Have you seen the NEW MotherHouse Goddess Shop? We have left Etsy and invite you to come over and browse. New items are being added daily as we populate our new site! Looking for something that you don’t see? Drop me a note! 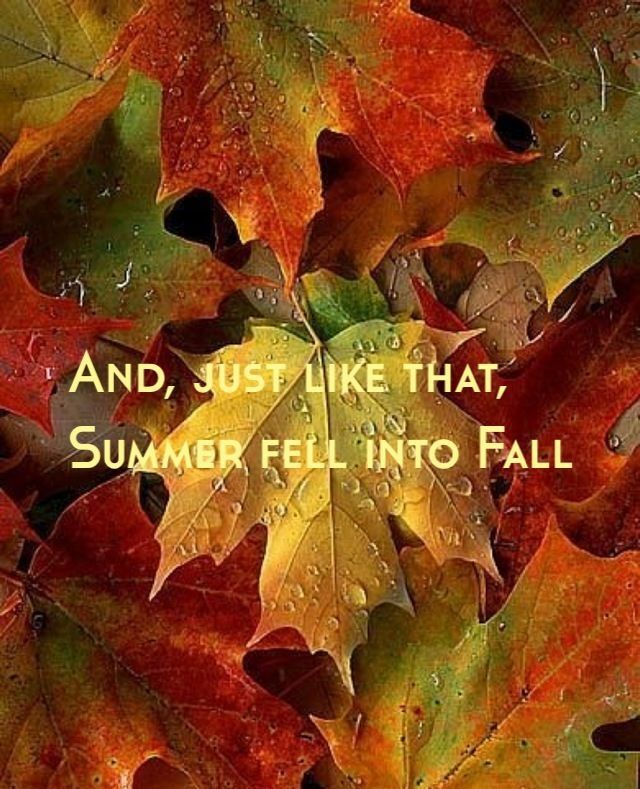 Welcome September and all the blessings that it brings you! September 2, 2017 – Happy Birthday to the Hindu Goddess Bhuvaneshwari! 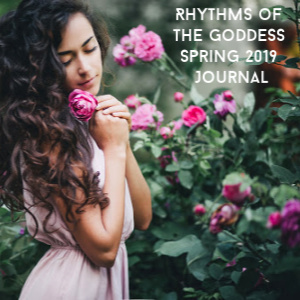 For extended practices and information on the Goddess Calendar, sign up for Rhythms of the Goddess!